CCM Tacks 5092 Senior Hockey Pants | Sports Etc. 400D Lightweight Nylon panels for a streamlined fit and added comfort. External belt system with hidden adjusting zipper. Custom fit with 1″ length extension. JDP cap on hip joint offers a great level of protection that disperses the force of impact away from the hip joint. Molded PE kidney protection for a great level of impact protection. Molded spine protector for a great level of impact protection in the lower back. Molded PE and leg zipper for a high level of protection. 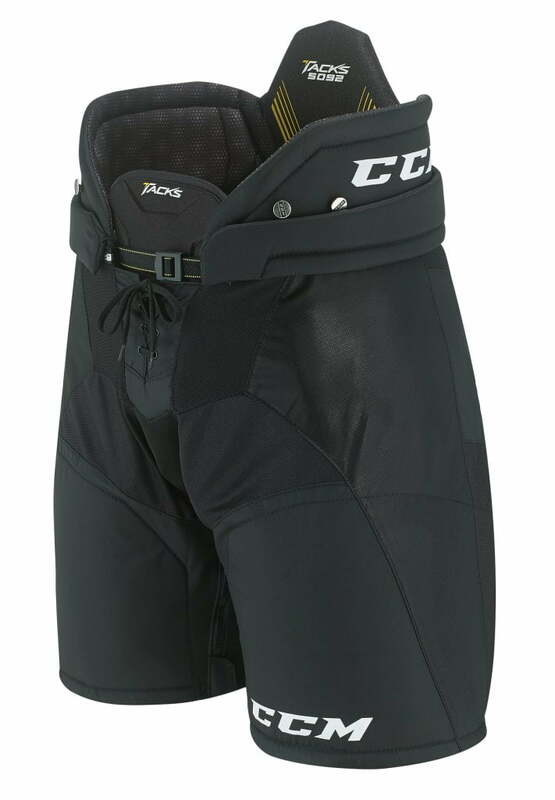 The CCM Tacks 5092 hockey pants are complete with a lightweight construction and custom length extension feature, the new Tacks 5092 pants are also designed to provide you with a highly protected and customized on-ice experience. Sports Etc Performance To Value Rating– 9 out of 10. A protective pant at an affordable price. Great for any mid level to high level player.